We thank the following committed donor partners for their support and engagement with Provision Project and the women we serve. The mission of Aqua-Tots Swim Schools is to help prevent drownings by working with the community to provide a standard of excellence in teaching children and adults water safety. With locations across the United States and throughout the world, Aqua-Tots has teamed up with Provision Project to help the children of women with breast cancer learn to swim and stay safe. Aqua-Tots is a committed True Believer in Provision Project’s work and generously provided $5,000 in December 2016, October 2017 and October 2018 to provide financial relief to women in active treatment for breast cancer. Learn more about Aqua-Tots here. Valley Sleep Center provides complete sleep health management including sleep studies, diagnosis and treatment of sleep disorders in the Phoenix, AZ, area. Owner Lauri Leadley, a breast cancer survivor believes, “We’re all in this together.” In October 2016, Valley Sleep Center helped spread the word about Provision Project to Phoenix area medical professionals through their field team and pledged a portion of their profits to Provision Project. 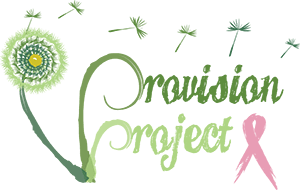 In December 2016, Provision Project received a check for $7,000 to help women in active treatment for breast cancer. Auto Repair Arizona is a group of trusted, Phoenix area NAPA AutoCare Center shop owners working together to give a positive experience to vehicle owners in our communities. They have been a committed partner of Provision Project since our inception, with donations of over $7,000 in our inaugural year, 2015. Auto Repair Arizona was also our “Matching Mondays” partner in October 2016 with a $5,000 donation. Please learn more about them at www.autorepairarizona.com.